We help clients use powerful digital ad tools to expand reach, deliver targeted offers, and accelerate growth. Talk to us about accelerating your digital marketing success with an online ad program that makes your budget go further. Facebook, LinkedIn, Twitter and AdWords all offer powerful ad platforms for targeting your audience on the platforms they use each day. We help you determine a sensible ad budget based on your growth goals before designing, building, and deploying targeted campaigns – tracking ROI, and optimizing to maximize your reach. 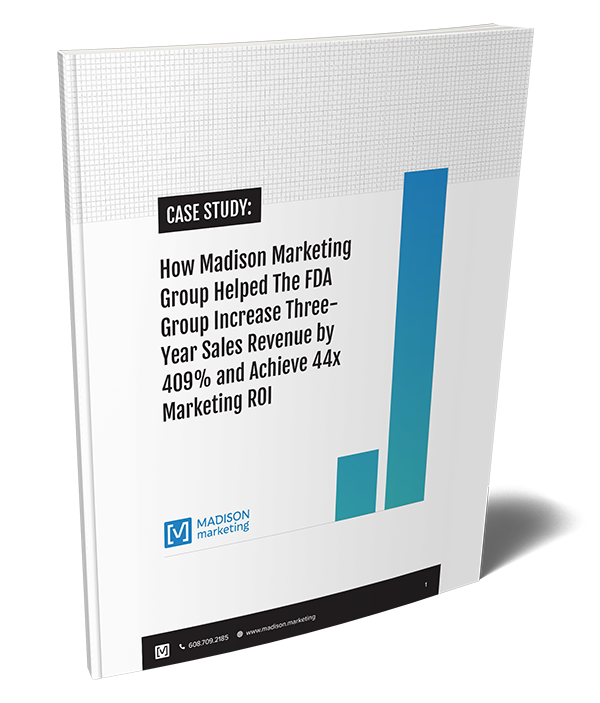 Two years into a successful inbound marketing program, The FDA Group was seeing significantly higher lead volume and revenue by attracting, converting, and ultimately closing more leads through organic traffic to its website. Seeing an opportunity to accelerate its long-term inbound strategy, we implemented targeted social advertising campaigns to drive awareness and action among prospects faster – effectively hitting the fast forward button on existing lead generation activities. Rather than waiting for prospects to go looking for answers and solutions, we now put high-quality content offers – whitepapers, guides, and webinars – directly in front of decision-makers at dream accounts and the broader industry segment, driving short-term lead growth and starting sales conversations faster at rates well above LinkedIn’s average benchmarks. Inbound marketing on its own certainly works – just not fast enough as many would like. 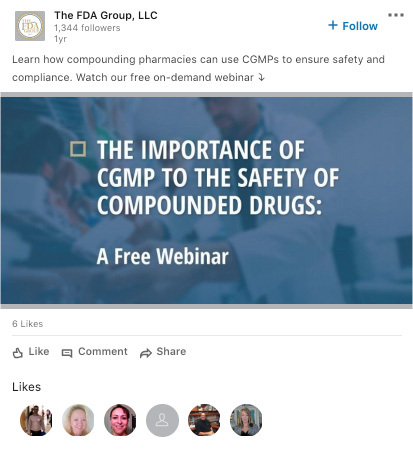 To speed things up for The FDA Group, we regularly launch carefully-targeted LinkedIn advertising campaigns to promote whitepapers and upcoming webinars. With a complete picture of who we want to target, we simply tune the dials in LinkedIn’s advertising platform to deliver ads that position these resources as solutions to the audience’s problems. Rather than sitting around waiting for prospects to search them out, we put something helpful directly into their social feeds whether they’re actively searching for solutions or not. 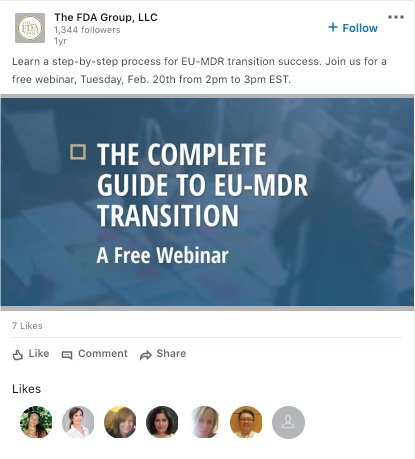 In addition to using social ads to drive prospects to conversion-focused landing pages on The FDA Group’s website, we also use LinkedIn’s Lead Gen Forms – easy, one-click forms that auto-generate contact information, letting prospects sign up for webinars and access premium content without leaving their feed. This convenient ad format has further boosted conversion rates among our ad campaigns, making ad budgets go even further each quarter. Grab our full case study with The FDA Group here or contact us today to talk about partnering on your next campaign.